Home TV Star Wars: Resistance So You Think Star Wars Resistance is for Kids…? Star Wars Resistance has been a little controversial to say the least, since its debut on the Disney Channel last year. Older fans of the franchise have had less than kind words to say about the show, while younger fans seem to love it (kind of like every version of Star Wars released to date). 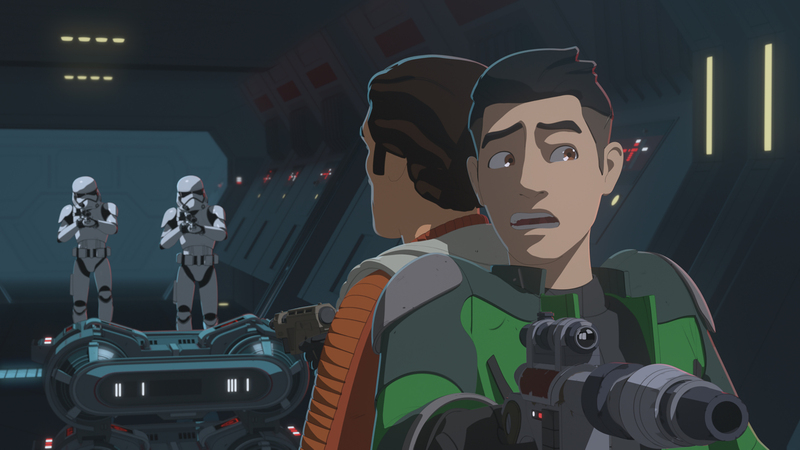 In a new article by Cinema Blend, the site sits down with Star Wars Resistance executive producer Justin Ridge to talk about how the show just might be edging closer to the Star Wars that adult fans want, and the misconception of animation being created just for kids. The site also asked Ridge about his thoughts on how adult fans perceive Star Wars in its various animated forms. That’s a battle that’s gone on for a long time. I think a lot of people have viewed animation as a whole as something just for kids, which I disagree. Animation, I think even Brad Bird said, animation is a medium. It’s not a genre. It’s just a different way of telling these stories. So I think that’s for people to just kind of accept and be like, ‘We’re telling really fun stories with these characters and it happens to be animation.’ Hopefully they can get past the way that we’re telling the story and just really get into it. What are your thoughts about the show? Is it just another bit of kid-friendly media that leaves adult fans out in the snow? Or are you enjoying it like every other iteration of Star Wars? Leave your thoughts in our easy to use comment section below!